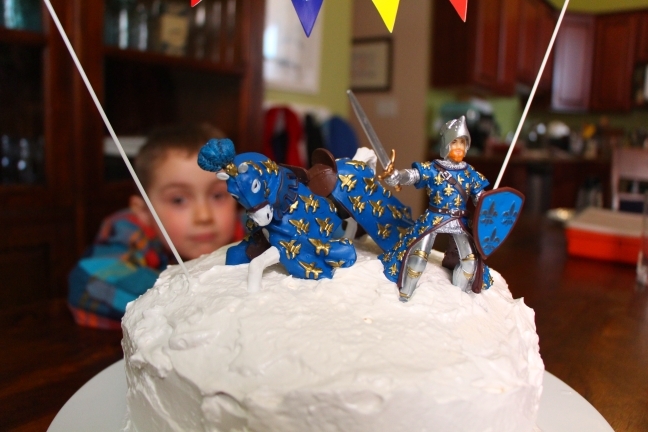 Ollie is very clear: when he grows up, he wants to be a knight. Now, what a knight does exactly is a little less clear. 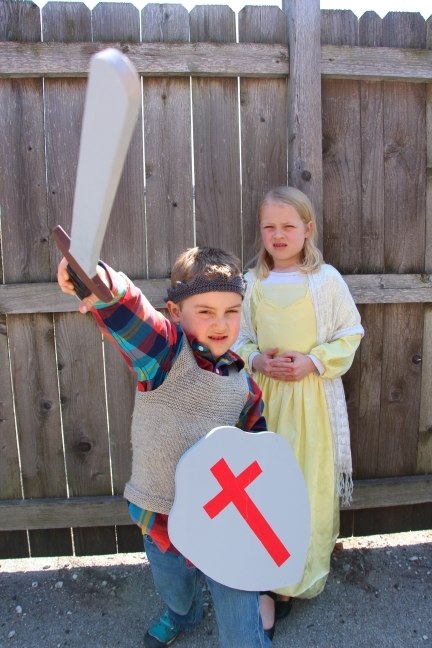 He’s aware that it involves, 1) having a shield, and 2) fighting bad guys and/or dragons. And that’s enough; sign him up. 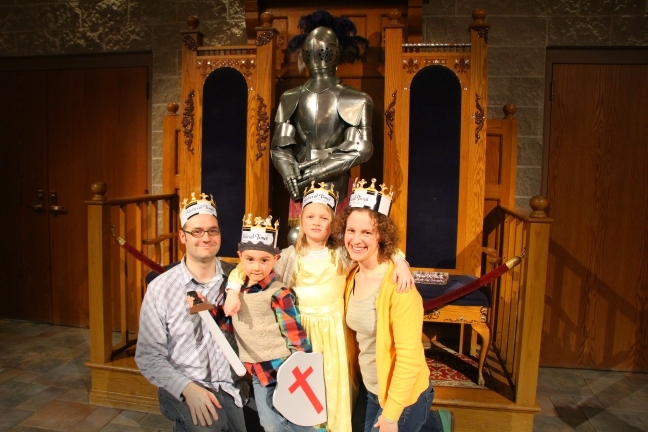 Given his fascination with knights, there was really only once choice for his birthday: Medieval Times. 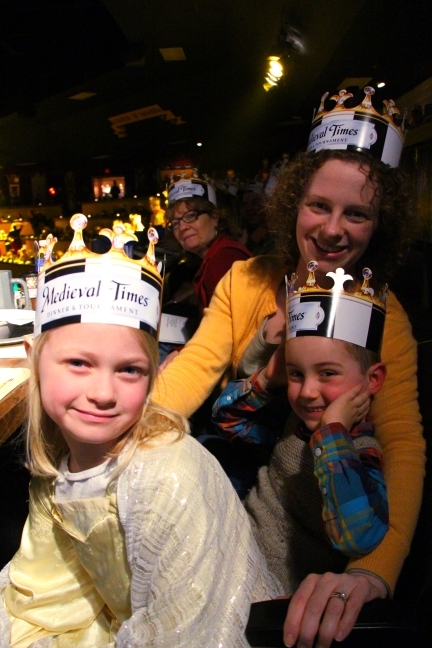 My best friend’s mom took me to Medieval Times when I was a kid and it left an indelible mark on my soul. For the next 20 years of my life I literally bounced in my car seat every time we drove by the castle. I think it’s safe to say that it’s going to have a similar impact on the kids. They had a BLAST (the grownups too). It was so much fun to go with them and experience it through their eyes. 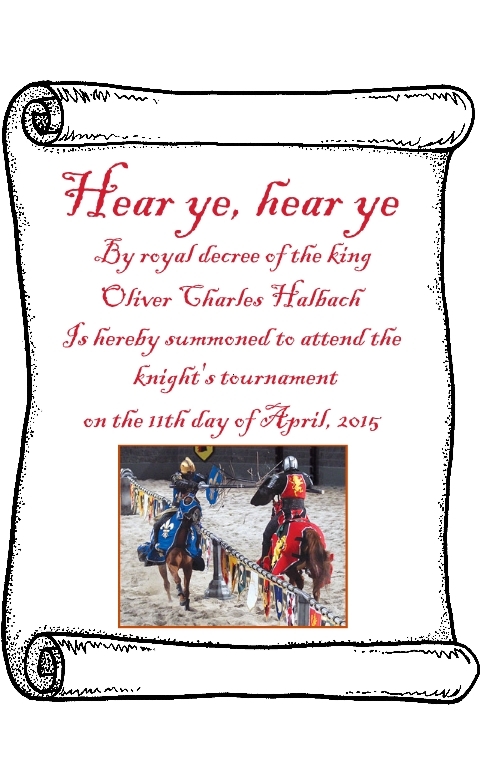 The day began with a “summons” from the king, requesting Ollie’s presence. Sara rolled it up like a scroll and tied it with some yarn. She put it outside the front door, knocked, and ran away. I never in a million years imagined that Ollie would fall for this so spectacularly. He was absolutely convinced that a messenger from the king had left it for him. He carried it around all day and even brought it with us to the castle, “in case the king wanted to see it”. I think Ollie thought they wouldn’t let us in without the invitation. Evie said repeatedly it was the greatest night of her life. I believe her, too. If her eyes were shining any more, she could have seen in the dark. Needless to say, it was a very, very successful birthday.